We are proud to support our Military families, call for your new patient appointment today! Emergency and walk-in patients are always welcome! 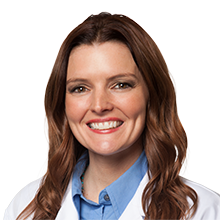 Albuquerque Dentist Office in Albuquerque, New Mexico makes your smile a priority and looks forward to serving your needs. 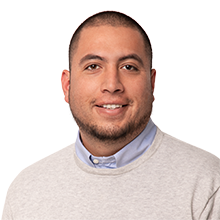 Dr. Mario Herrejon-Ruiz & our entire Albuquerque Dentist Office team are dedicated to providing you with outstanding care and the smile that you deserve. 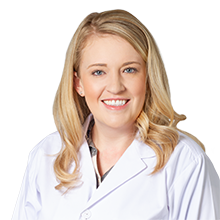 Albuquerque Dentist Office offers options to serve all of your dental needs in the Albuquerque Northeast Heights, Los Altos, Towne Park, Four Hills, Volterra, Embudito Canyon, and Tijeras Heights Neighborhoods. 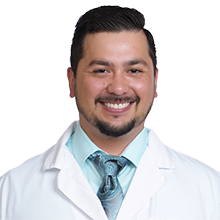 Dr. Mario Herrejon- Ruiz provides modern techniques including CEREC CAD/CAM crown, Digital X-rays, an intraoral camera, digital records, professional teeth whitening, lumineers, porcelain veneers, tooth bonding, white fillings, crowns, and implants. 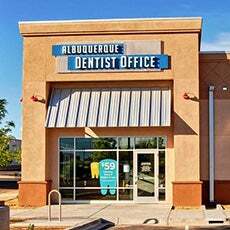 Albuquerque Dentist Office accepts most PPO, some HMO and provides flexible payment options. We are a preferred provider for employees of Sandia Labs, Kirtland Air Force Base, Costco, Albuquerque Public Schools, the City of Albuquerque, and many more! We believe in supporting our community and are proud to partner with Special Olympics of New Mexico, The ABQ Chamber of Commerce, and Albuquerque Public Schools. We also believe that part of serving our patients means providing them with information to help make informed decisions about their oral health needs. Albuquerque Dentist Office hopes this website is a valuable resource to you. Let us know if you have any questions or to schedule an appointment. You can find more information about our office and team on Team page and About Us page. *$50 off when a patient donates one or more items. Donations accepted at Albuquerque Modern Dentistry through 03/31/2019. Donations will be delivered to NM DOG following the end of the donation period. Not valid on previous or ongoing treatment. Cannot be combined with any other offers. Coupon must be presented at appointment. Limit 1 per patient. Excludes cleaning, exam, Digital X-rays, root planing and scaling and/or periodontal maintenance. Subject to insurance restrictions; cannot be applied to insurance co-payments or deductible. Not valid for appointments with pediatric dentist, orthodontist, periodontist, endodontist or oral surgeon. AZ, CO, ID, NM Delta Dental members: valid toward cosmetic dentistry only. Offer expires 03/31/2019.